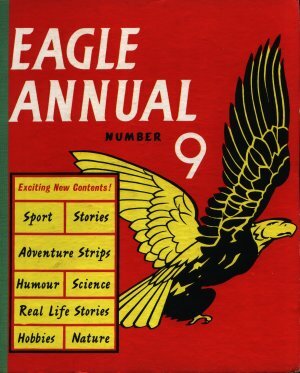 1960's Eagle Annual starts to get adventurous with a new highlighted section on the cover showing the Exciting New Contents!. Dan Dare moves to page 30. Last of the annuals published by Hulton Press Ltd. Amazingly the price remains the same as previous years. Nature appears as a contents list heading for the first time.